After 20 years, Michael Turner’s Witchblade is no longer an ongoing comic series. But Top Cow and Image Comics isn’t letting the famed heroine go down without an awesome commemorative edition collecting 20 years of incredible artwork. 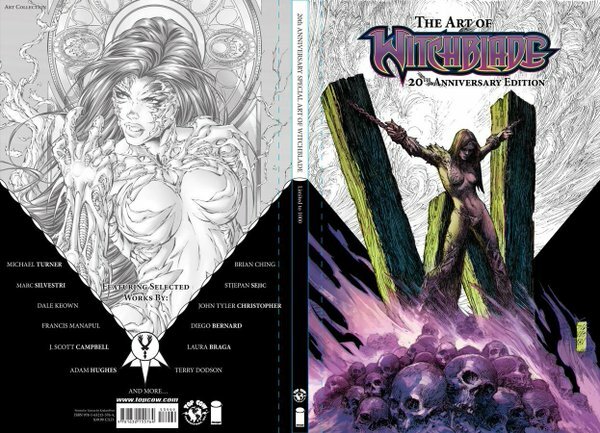 The Witchblade 20th Anniversary Art Of Hardcover book is available in limited comic book shops today and also for pre-order on Amazon (shipping November 26th). The book collects artwork from famed artists like Michael Turner, Marc Silvestri, Dave Finch, Joe Benitez, J. Scott Campbell, Adam Hughes, and more. The 12×18 oversized hardcover collector’s edition is available at a $39.99 MSRP and a discounted price of $28.06 on Amazon. If you’re a Witchblade fan, it’s also important to know that just 10,000 of these will be printed and Top Cow promises there will be no additional printings. Sony reveals plans for next-gen Playstation. Here is what to expect.